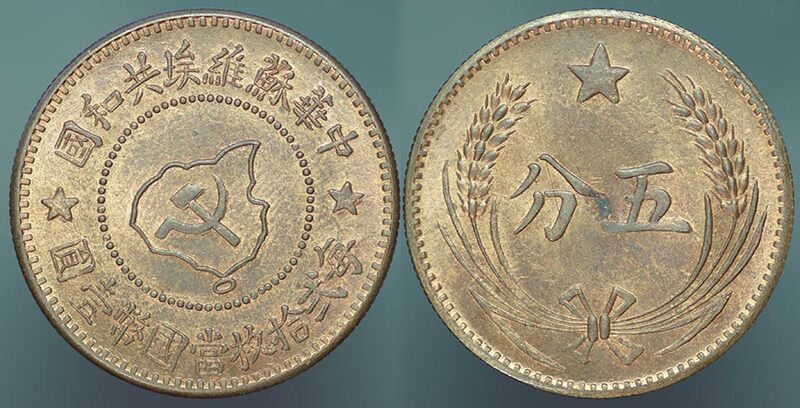 This is a mostly red example of Chinese Soviet Republic 5 Cent RESTRIKE. These were officially restruck in the 1960's by the Chinese Peoples Republic. The restrikes are shown here because that's where they are listed in the Standard Catalog of World Coins by Krause Mishler. The edge is fully reeded, originals have spotty or absent reeding.